The Africa Network for Environment and Economic Justice (ANEEJ) and the Federal Ministry of Justice have called for the fast-tracking of the four anti-corruption bills presently before the National Assembly (NASS). The demand was made on Friday, 19th October, 2018 in Abuja during the inauguration of the Advocacy Working Group on the bills. The event drew officials of the Ministry of Justice, the Independent Corrupt Practices And Other Related Offences Commission (ICPC), civil society organizations (CSOs), and clerks of committees of the NASS involved in the passage of the bills. Also at the event were Senator Ita Enang, Senior Special Assistant to President Muhammadu Buhari on National Assembly Matters and Hon. Kayode Oladele, Chairman, House Committee on Financial Crimes. Addressing the gathering, the Rev. Ugolor said the inauguration of the advocacy working group was intended to help forge ways by which the passage of the anti-corruption bills-the Proceeds of Crime Bill, the Whistleblowers Bill, the Money Laundering Bill, and the Witness Protection Bill, which had suffered setbacks in the National Assembly, could be expedited. “The MANTRA is a DFID supported project created to strengthen the capacity of CSOs and citizens to monitor the use of repatriated loot, embark on advocacy to improve the policy, legislative and institutional framework for the recovery and management of looted assets in Nigeria and mobilize collective action in demanding a cleaner society. It had in attendance our partners – BANGOF, CSJ, NISD, CIRDDOC, Development Exchange Centre and representatives of the NASSCO and NCTO including the FMOJ and the OGP secretariat. 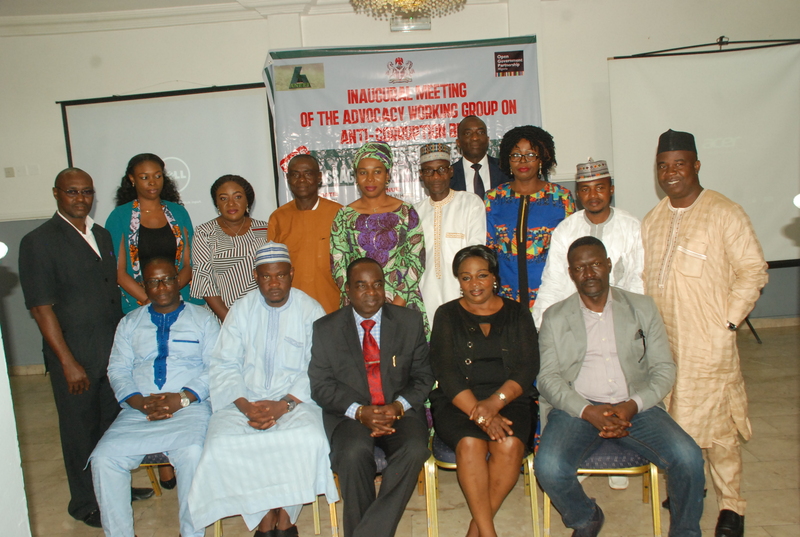 “An enduring and very significant outcome from that meeting,( and this is in spite of its many outcomes), was the consensus among the stakeholders and partners present for a movement to address issues related to ridding Nigeria of the cankerworm of corruption. Pessimists may say that this is not the first time we have come together to forge ways of meeting the challenges militating against the fight against corruption. To these pessimists, I would like to quote from the law of least effort as propounded in Daniel Kahneman’s book titled, Thinking Fast and Slow, that: in the economy of action, effort is a cost, and the acquisition of a set of skills is driven by the balance of benefits and costs. “Without a doubt, most of you seated here today are worried that the continuing and continuous delay in the passage of the Proceeds of crime bill into law deals a blow to, and constricts the fight against corruption in Nigeria. I cannot think of any other analogy with which to describe the present scenario other than to say that fighting corruption without strong laws, strong institutions, and strong voices is akin to the bark of a dog without its bite,” Ugolor stated. The ANEEJ boss noted that it was the situation where the bills at the National Assembly seem to be in limbo that his organization and the Federal Ministry of Justice decided to run a series of sessions concerning the issues hampering legislative reforms. We seek to strengthen the fight against corruption and make it very difficult for corruption and corrupt people to thrive in Nigeria. 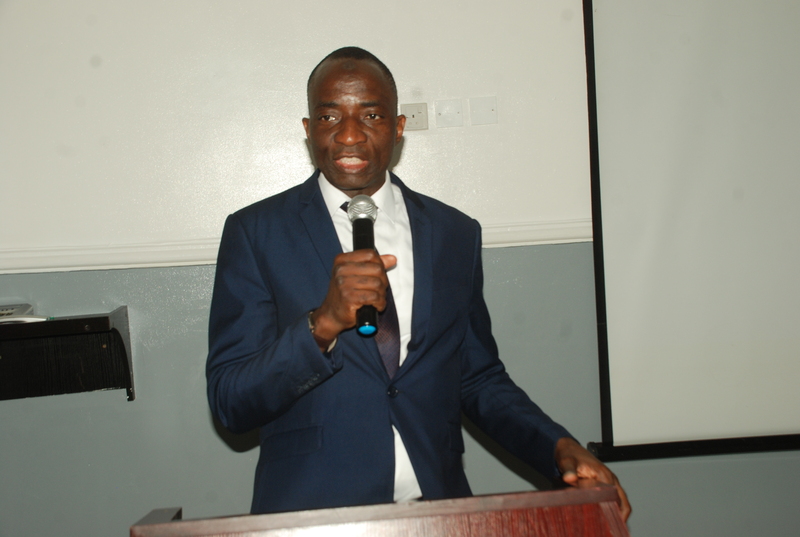 Bola Lashmann, a consultant to the Federal Ministry of Justice and one of the facilitators of the event, decried the delay in the passage of the bill noting that it had stymied efforts at tackling corruption holistically. 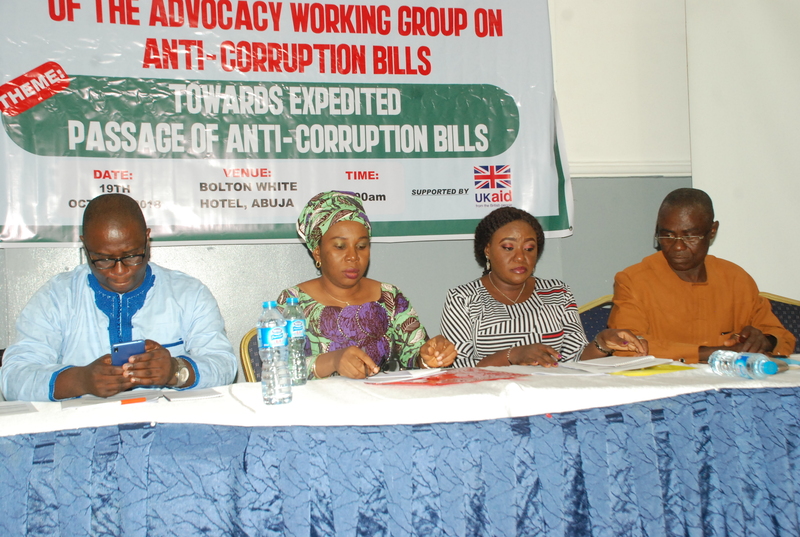 “The importance of these bills to the anti-corruption war cannot be overemphasized. Their non-passage has created conditions for the continued existence of corruption. We are calling of the National Assembly to see the passage of these bills as a matter of urgent national importance,” she said. Also speaking at the event, Hon. 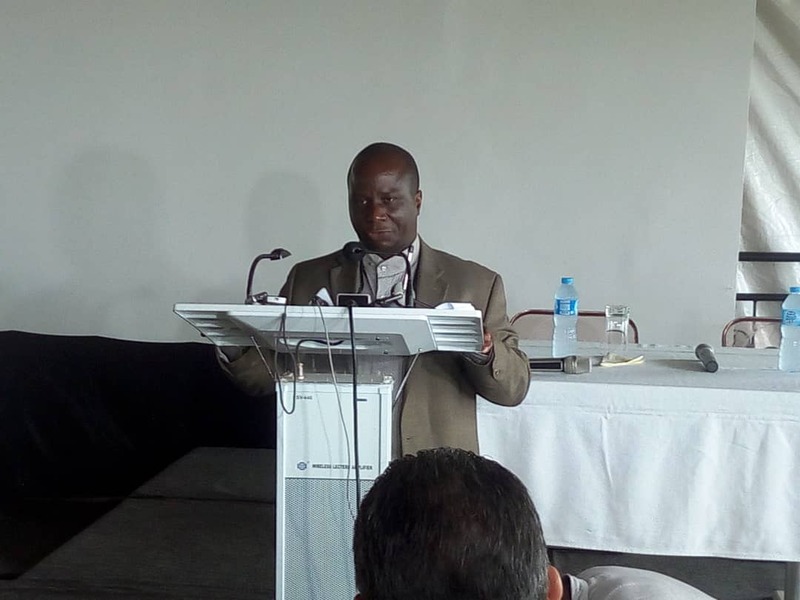 Oladele, the House Chair on Financial Crimes, who returned on Friday morning from France where he had gone to attend the meeting of Financial Action Task Force(FATF), said passage of the bills imperative if the fight against corruption must be won. He said the FATF impressed this on the Nigerian delegation to the meeting in France led by Abubakar Malami, Attorney General of the Federation. “Fighting corruption without legal backing will not be effective. We need to institutionalize the fight against corruption, a reason the bills are important. Aside from this, we cannot also be considered for admission into the Financial Action Task Force, if we do not pass the bills,” Oladele stated. He said the Proceeds of Crime and the Money Laundering bills were of utmost importance to the FATF and that the National Assembly mindful of this. is working hard to pass them. “We are working on those bills and we hope that before the end this eight legislative assembly we would have clean versions of the four bills for assent by the president,” Hon. Oladele said. Senator Enang for his part said the commitment of the Buhari administration to fighting corrupt was unwavering noting that the National Assembly ought to facilitate the fight by passing the bill. ”There is so much to be done. As everyone knows, the war on corruption is dear to President Buhari’s heart and he intends to use every legal means to do so. 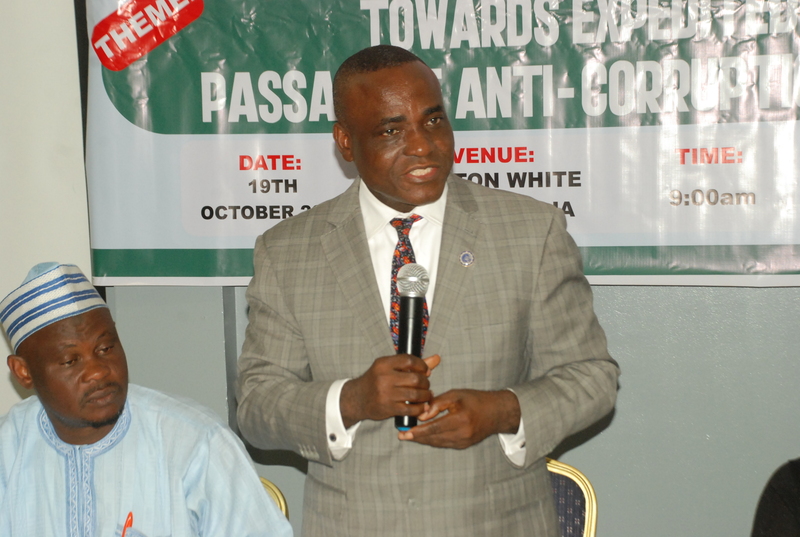 The National Assembly ought to help in facilitating the efforts of the president,” Senator Enang said.